The exclusive surrounds of East Perth are about to be invaded by ducks. Thousands of ducks. Far from being an environmental disaster, these ducks are welcome, in fact it's definitely a case of the more the merrier, because these ducks are fundraising ducks. 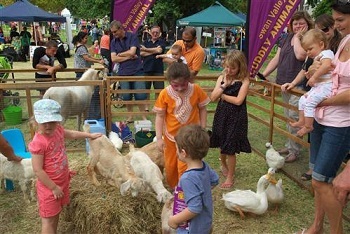 It's time for the second annual Claisebrook Carnivale and Duck Derby. What's a Duck Derby, I hear you ask? Basically, you adopt a numbered rubber duck for $5. Thousands of ducks are turned loose in Claisebrook Cove and winners are picked at random. This year the first prize is a Toyota Yaris, but it's all for charity so everybody wins. The event is sponsored by the Rotary Club of Heirisson to benefit Telethon, the WA Cord Blood Bank, Wheelchairs for Kids and other Rotary community projects. The Duck Derby is only part of the day's fun. A Carnivale is also taking place, with food, market stalls and entertainment. Kids will love the bouncy castles and the live ducks in the petting zoo, while parents can enjoy the entertainment or visit one of the waterside cafes. Duck tickets can be purchased online .